It is something we have all done on our summer holidays and which some us still do. Build sand castles on the water’s edge, we add shells, feathers and whatever else we find on the beach to make our castle more authentic. There are some people who take this simple pastime to a new level and construct true works of art from sand, sand sculptures. 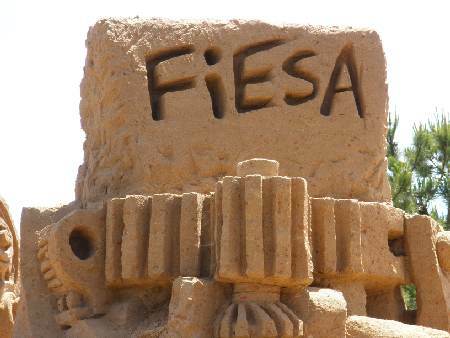 Every year the best sand sculptors gather in Pêra, Algarve for the International Sand Sculpture Festival (FIESA), this year from the 25th of May to the 25th of October. The International Sand Sculpture Festival 2013 offers visitors the opportunity to wander amongst the giant sculptures during the day and at night when the sculptures are lit up and projections are of previous events are shown. There are also workshops where you can turn your hand to creating your own unique sand sculpture. The visiting public also has the opportunity to vote for their favourite sand sculpture. Don’t miss the International Sand Sculpture Festival 2013 where simple sand is transformed into amazing detailed but alas temporary sculptures. 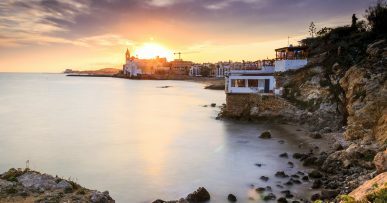 Tickets: Adults 9€, Children 4.50€, Under 5 Free and Seniors 15% discount.